We're still in the process of Ryan's room/bathroom re-do and I wanted to share our recent update. 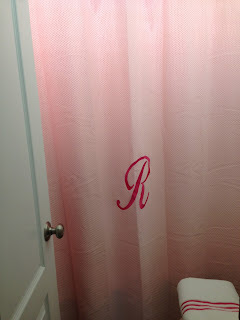 We found this gorgeous quilted shower curtain at Restoration Hardware Outlet for $6.99, originally 89.99! It was pink, it was on sale and it was ours! 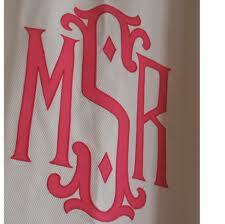 I thought it needed a little something extra as in a monogram. I've seen numerous monogrammed shower curtains on-line that are tres chic but tres expensive. I thought by taking this to someone locally wouldn't put too much of a dent in my pocketbook. After three stops at different embroidery stores I finally found a place that could do it. 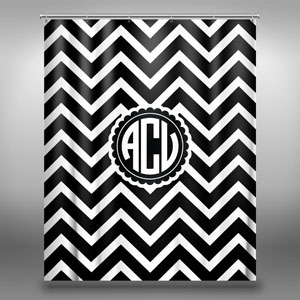 I originally wanted her full monogram at 12 inches in height. With that size, they have to do a special stitch so it won't snag which takes a lot of stitches. After seeing what the cost was going to be we changed our game plan and decided on a R. I didn't realize how pricey this embroidery can get! 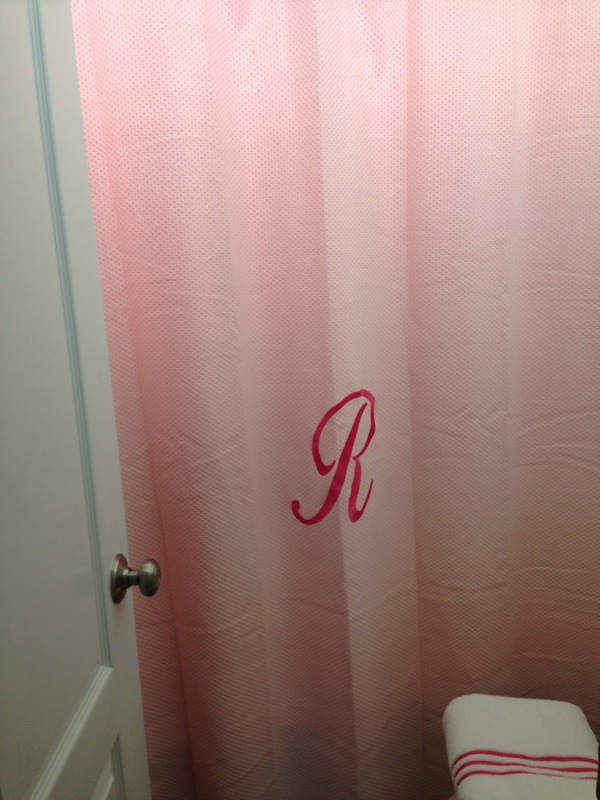 I'll just say that this R ended up being a lot more than the price of the curtain! 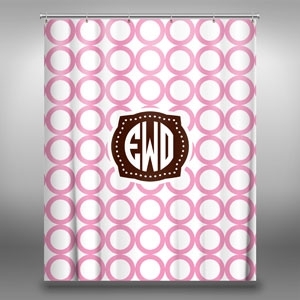 For the price and not having to wait 6-8 weeks for a custom shower curtain I think it turned out beautiful! It's simple and Ryan is loving it. That is adorable! It looks so swanky.